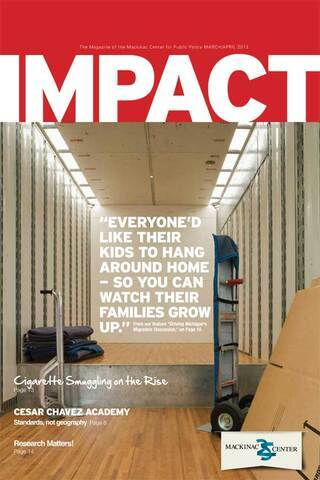 With each issue of IMPACT, the Mackinac Center interviews one of its supporters to highlight the people behind what we do in support of free markets. This issue, we feature Jack and Clarice Engelhart of Clio. Jack is the founder and chairman of Quality Pool Supply. 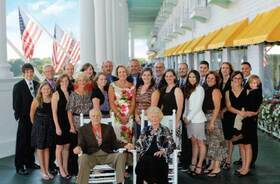 Mackinac Center: How did you get started in the pool business? J. Engelhart: In 1968, I was in the wholesale plumbing and heating business in Flint. I could see there was a lack of engineering in the swimming pool business, which was very expensive to homeowners. Then I read an article in The Wall Street Journal that said that the pool business in 1968 was a very unusual business because every time there was a downturn, for them, everything didn’t change and usually increased. And I thought, From The Wall Street Journal, which is a pretty stable organization, I thought there’s probably some truth in it. Having an established wholesale business at the time, I started a small division in the pool business. I went to Anaheim to a pool convention to see whether the industry would eventually go through distributors. I decided it would, and it did. It grew from there. I was cooking from scratch. Mackinac Center: Why did pools get popular in Michigan? J. Engelhart: At the time there were quite a few pools going in because General Motors, because of the union, had a very high wage rate and a lot of them were working a lot of overtime and they didn’t have time to go on vacation. So they decided to put a pool in their backyard because the income was relatively high. It was a vacation in their own backyards. We filled a need. It’s a very inexpensive way to go. We were selling steel wall pools with vinyl liners, and we sold the pumps and other things too that people who build concrete pools also need. We covered the entire spectrum including spas and commercial pools. Mackinac Center: What’s your business philosophy? J. Engelhart: The golden rule is a very good place to start. I’ve always felt and I was always taught by my father that if you take care of your customers, they will take care of you, and they did. Mackinac Center: What would you change in Michigan’s business climate? J. Engelhart: The rules and the regulations are just extremely oppressive. It costs enormous amounts of money to keep up with those and hire people to take care of them because some of them are so complicated you can’t possibly do it yourself. The government is just too big. It has forgotten what it’s there for. They think they’re there for themselves, and they really are, that’s the problem. Mackinac Center: How many people work at Quality Pool Supply? J. Engelhart: Right now I think we have around 57 full-time employees with full benefits. And it has been up to 105 in the summer time. We have several locations: Clio, Byron Center, Michigan and two in Ohio. Mackinac Center: What value do you see in the Mackinac Center? J. Engelhart: The Mackinac Center provides a tremendous education for any citizen who wants to learn about their state. C. Engelhart: I just think it’s a good organization that studies what’s going on and does things that will help change things for the better. I think of right-to-work and also those people who were forced into a union and didn’t even know it. The Mackinac Center’s education let people know that. It came to their aid. I’m glad there’s someone out there to help. 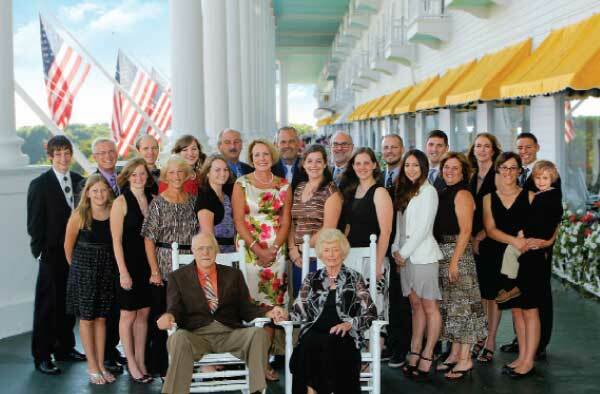 Mackinac Center: Last year you gave your largest gift to the Mackinac Center. What prompted that? J. Englehart: I was talking with the Mackinac Center president, Joe Lehman, at a meeting in Traverse City. I told him that it must be stressful wondering if you’re going to make payroll every month in times like these, Joe said that like anybody sometimes he lost sleep thinking about it. So I wrote a check and sent it in a pill bottle telling him that he could sleep a little easier.